Shopping the easyfundraising way with Pact Coffee, could not be easier. Follow the instructions below, and create an account today to start supporting a cause or charity of your choice. Love fresh coffee? 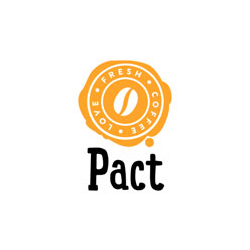 Pact Coffee ethically source better-tasting coffee, roast it with care and deliver it in bags and pods as needed. How it all started In 2012, armed with not much more than a coffee grinder, a set of envelopes and a passion for coffee, our Founder, Stephen, set up Pact in his kitchen. His dream was to introduce the UK to better coffee at home, improving millions of mornings and changing the coffee industry for the better.